In 2015, the CNTA will try to establish at least 3 new Guinness Records, including the largest electric vehicle parade. After reaching the mark of 412 plug-in vehicles for the 2014 rally in Montreal, the CNTA is aiming for even better in 2015. The current mark to beat is 507 100% electric vehicles. 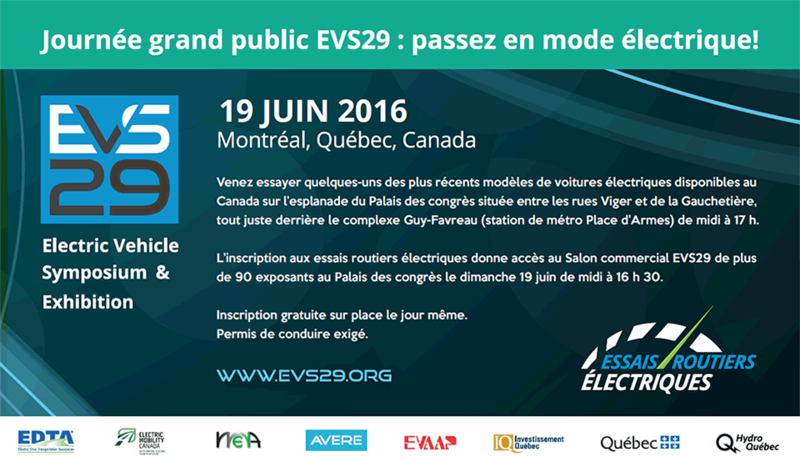 We invite you to join us in parking P8 of the Ile Notre-Dame with your EV. When? : Saturday, April 18, 2015, arrival between 3:30 pm and 5 pm (access will be restricted after 5 pm). Please confirm your participation with this short, bilingual questionnaire to facilitate the organization of the event and receive the latest information. A participant number will be provided on arrival and you will be asked to give it back at the end of the parade to facilitate the counting of vehicles and the ratification of the record. Be sure you have a minimum of 20 km electric range on arrival. We offer access to free charging AFTER the parade for those who wish. (6 kW).